Borealis, leading provider of innovative solutions in the fields of polyolefins, base chemicals and fertilizers, announces it has entered into a formal cooperation with Taiwan-based convertor Reach Plastic Industrial Co., Ltd. The new collaboration builds upon the foundations of an existing multi-year relationship and strengthens Borealis’ position as a global polypropylene (PP) foam base resin and technology provider. The cooperation allows Borealis to explore the development of market applications based on Borealis’ Daploy™ high melt strength (HMS) PP foam material. Daploy HMS PP foam is 100%-recyclable and is suitable for a wide-range of applications where an improved environmental footprint is sought, as well as lightweighting, insulation and a unique surface feel. These applications can be used in a broad spectrum of industries, such as automotive, building & construction as well as packaging and food service. Daploy HMS PP is based on proprietary Borealis technology and is used in various applications that require more performance from less raw material. The unique long-chain branched (LCB) structure offers superior foamability and homogenous fine cell foam structure – even at lowest densities. While the product has been commercially available for over 15 years to Borealis and Borouge customers around the world, its beneficial properties and processing technologies make it possible to invent entirely new and tailor-made solutions. One such example, the drinking cup solution from Reach Plastic Industrial Co., Ltd. based on Daploy HMS PP foam, has ground-breaking potential as a possible replacement for expanded polystyrene and paper/cardboard alternatives. Furthermore, being entirely a mono-material polypropylene solution, this application is fully recyclable. 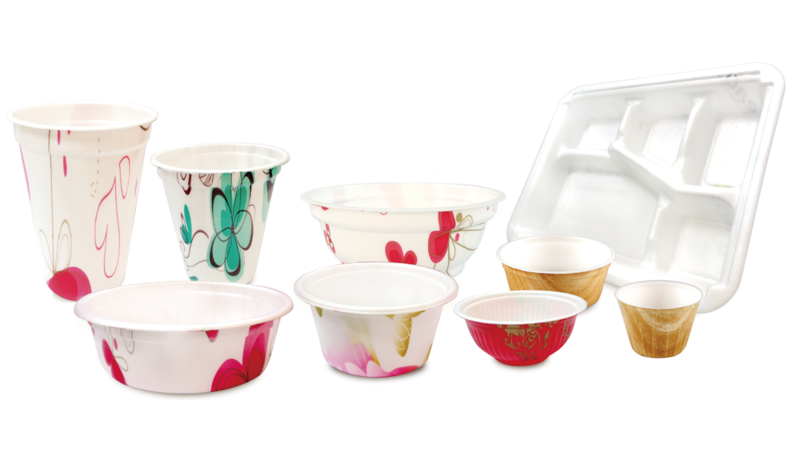 As part of its commitment to leadership in promoting the circular economy, foam cups used at the K Fair 2016 stand shared by Borealis, Borouge and Nova Chemicals will be collected for recycling by the recent Borealis acquisition mtm plastics, one of Europe’s leading producers of post-consumer polyolefin recyclates. K Fair 2016 takes place from 19 to 26 October in Düsseldorf, Germany. "Join Our Journey" and visit Borealis, Borouge and NOVA Chemicals at Hall 6, Stand 6A43 to learn more. Borlink, Daploy and Water for the World are trademarks of the Borealis Group.